CELEBRATE OPENING DAY IN STYLE. I'd eat crappy pizza without being guaranteed a pack of baseball cards. Promise me some and I'll eat pizza served on a cardboard crust. 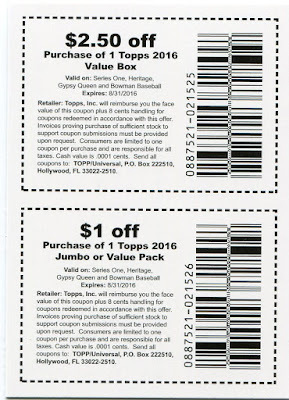 Fittingly, Topps, which for the past few years has been about as exciting as tofu, got back to the basics recently by teaming with Walmart to include a three-card pack inside some of its Marketside pre-made foods, including pizza and bread sticks. BUSTED ELBOW WORSE THAN BUSTED WAISTLINE. 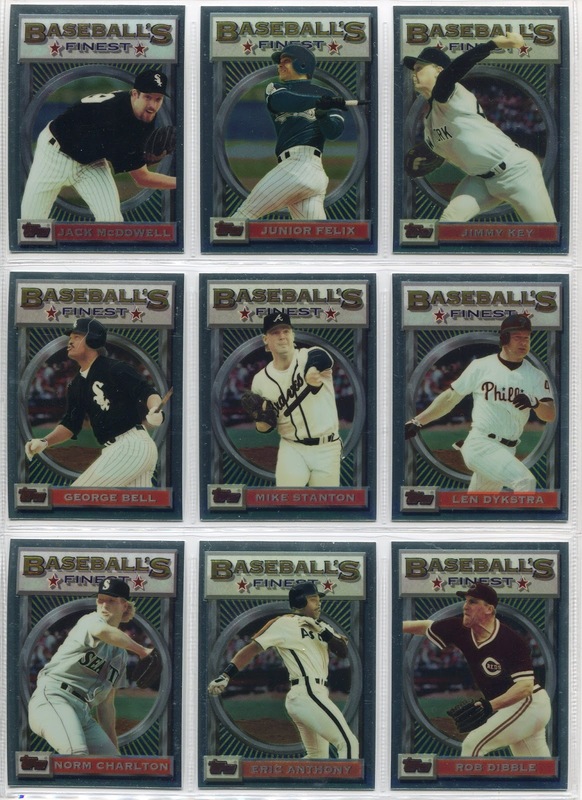 These cards aren't half-bad looking, which kind of defeats the allure of food-based oddball cards. Go big or go home, with a possible side trip to the emergency room. Let's face it, ultimate bypass surgery might be in the cards. 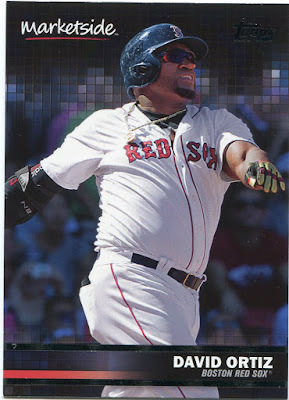 This reminds me of collecting past oddball food cards, like Kellogg's, Dairy Queen and Hostess. 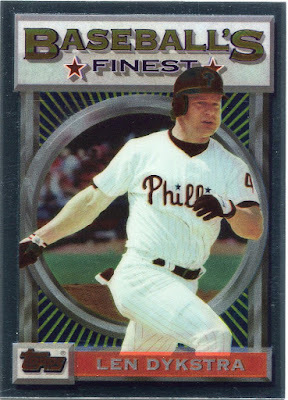 I survived eating that crud for cards, all in the name of completing sets. Though now in my 50s, this 50-card set seems especially daunting, requiring ingesting massive quantities of Walmart food. WHERE DOES THE PIZZA END AND THE CARDBOARD BEGIN? 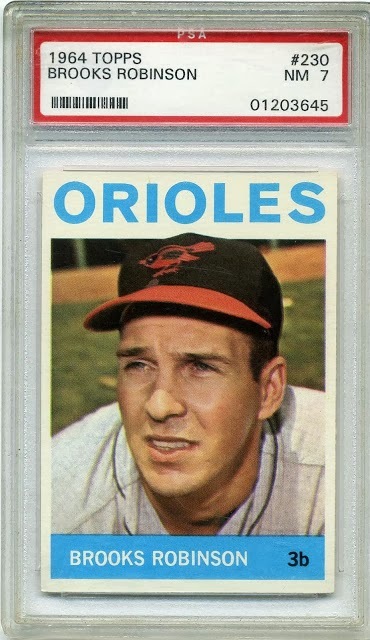 Give me any vintage high-number quest any day, if health equals wealth, that is. CAN'T MAKE PIZZA WITHOUT DOUGH. 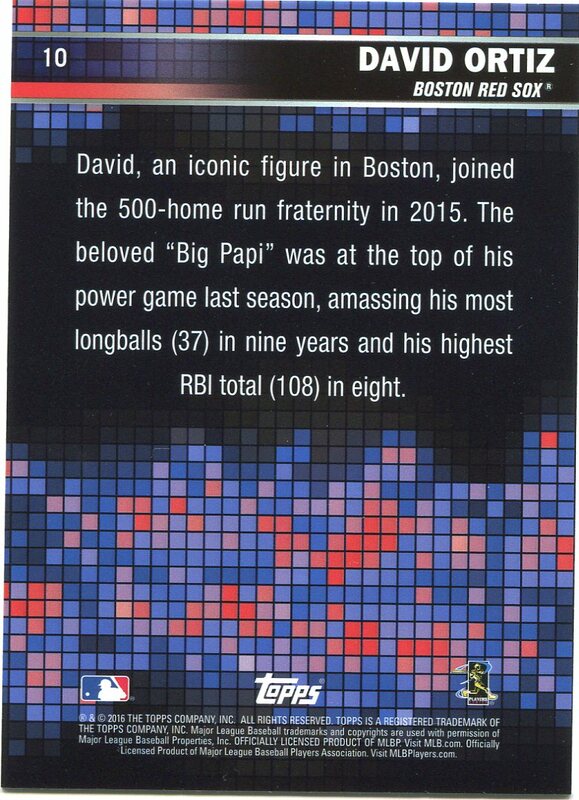 LOOK FOR PAPI'S PIZZAS SOON. 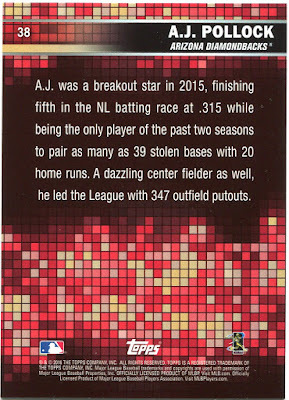 Hopefully, between COMC and fellow bloggers, I'll be able to turn the trick on these trick cards without risking a grabber. It's a pizza party and you're all invited to celebrate Opening Day today! TIP: MAKE SURE YOUR CUTTER IS SHARP. KUDOS TO SANDY ALOMAR JR.
As a cyclist, you're always looking for new riding pals. Since moving up to Western North Carolina, I've met several whom I now consider good friends with which to explore this outdoor wonderland. 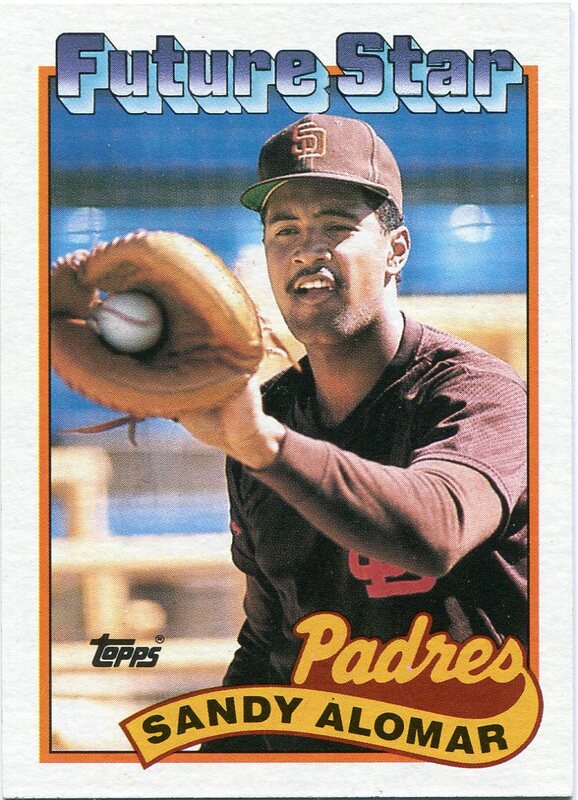 Then there's Sandy Alomar Jr., the 1990 AL Rookie of the Year, six-time AL All-Star catcher and older brother of Hall of Famer Roberto Alomar. OK, I haven't exactly met Sandy, currently the first-base coach for the Indians, or hit the road with him, but through the ap Strava, we follow each other's two-wheeled exploits. Strava is like Facebook for cyclists, runners and hikers but so much more. It's basically a hopped-up GPS. It tracks your speed, mileage, heart rate and elevation gain in addition to measuring best times over designated segments against other cyclists. After downloading a ride, followers can see what you've been up to. Similar to the "like'' in Facebook, Strava followers give "kudos'' and/or comment. After I started following Alomar, he reciprocated a short while later. Whoa, you're kind of a big deal! Sandy Alomar Jr is now following you on Strava. You already follow Sandy Alomar Jr. Let's show him what you can do. He really is following me! Wheel cool! 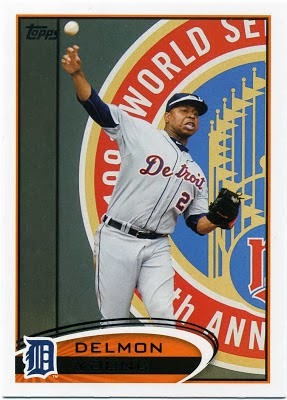 Alomar began cycling three years ago as a way to stay in shape with a sport that's friendly on an ex-catcher's knees. As cyclists, we're brothers, if only linked through the Internet. Incidentally, Barry Bonds is active on Strava. I'm following his cycling exploits, too. 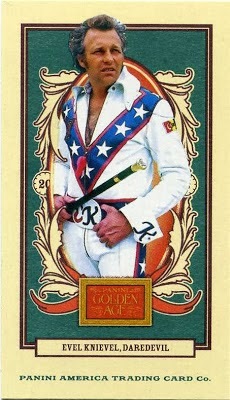 In time, maybe he'll join my ever-expanding peloton of real and virtual riding compadres. THIS PAGE IS SPONSORED BY ROLAIDS. No. 175 George Bell gets the nod. 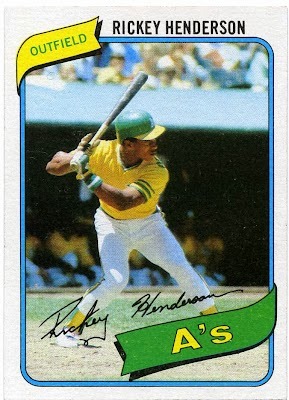 He averaged 27 homers during his 12-year career with three teams and was named AL MVP in 1987. Bell again stands out with his spectacular '88 Opening Day performance. 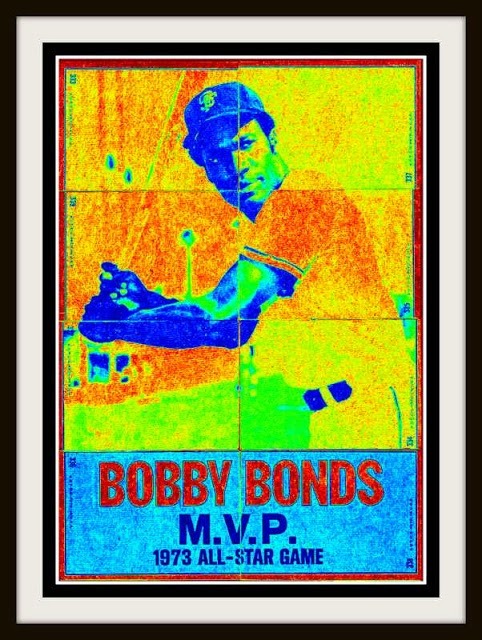 The reining AL MVP slugged three home runs against the Royals. No. 180 Rob Dibble's bulging vein captured at the end of that violent high leg-kick delivery captures everything you need to know about his personality and career. VEIN MAN OUT OF THE BULLPEN. 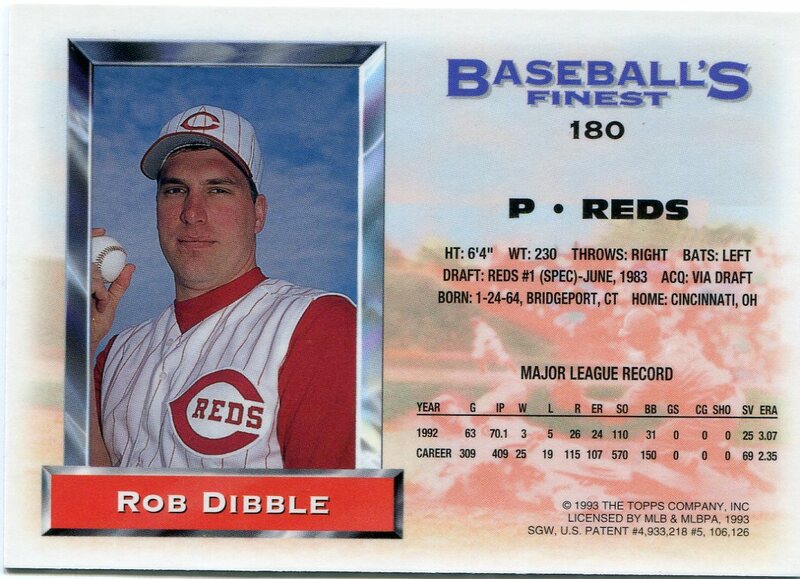 Rob Dibble didn't nibble. 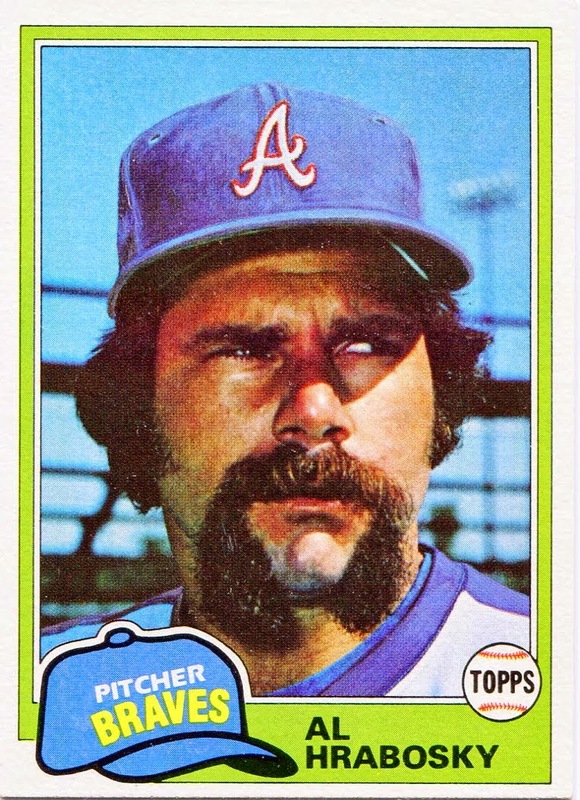 The vein-popping hothead always pumped gas out of the bullpen while frequently lighting a match. 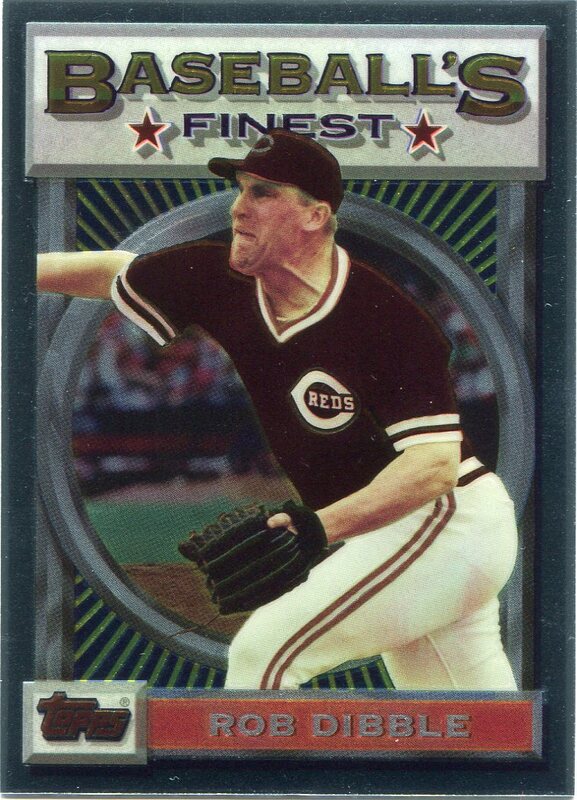 Making his bones first as #182 Randy Myers' set-up man for the World Series champion Reds in 1990, Dibble became a two-time All-Star and inherited the closer's job before injuries wrecked his career, which lasted only seven turbulent seasons. 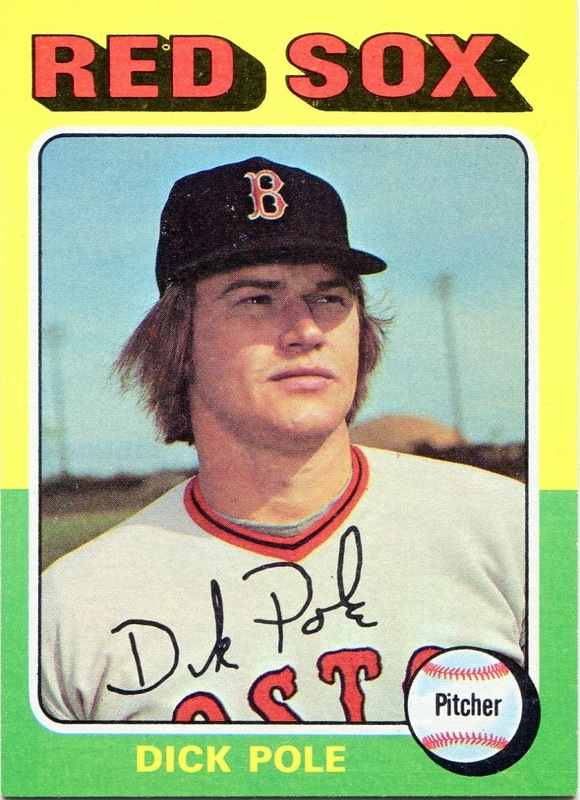 He packed a lot of drama in that time, during which he saved 89 games, averaged 12.2 strikeouts per nine innings and was suspended more times than a goth teen. Dibble got into several scraps with the opposition, but his clubhouse throw-down with manager Lou Piniella on Sept. 17, 1992, took the cake. Especially because it was all caught on film by a TV news crew. After the Reds held on to defeat the Braves 3-2, Piniella was asked why a rested Dibble wasn't called on to close. Sweet Lou said Dibble had a sore shoulder. Dibble was told this and said it wasn't true. 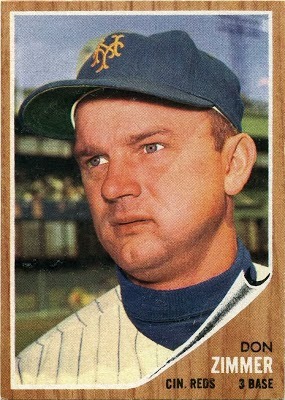 That's when Sour Lou bolted from his office and attacked the 6-4, 230-pound Dibble, yelling he was a liar. The wrestling match was broken up and the two made up, with Dibble being called on to pitch the next day. Taking over as Reds closer in '91, Dibble saved a career-high 31 games, blew only five and averaged 13.6 strikeouts per nine innings. 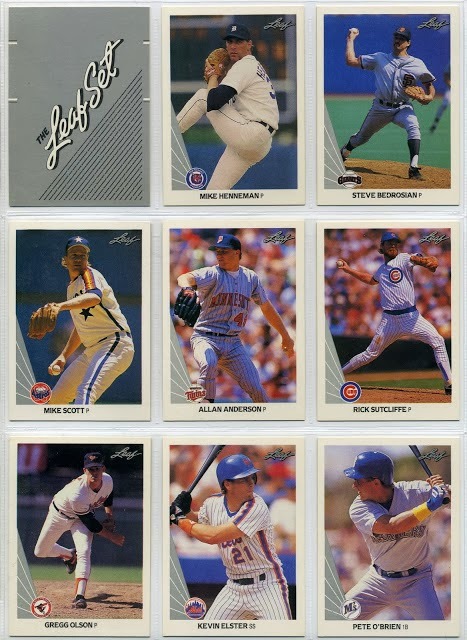 Dibble made his major-league debut in '88 but emerged in '89, winning 10 games in relief and striking out 141 batters in 99 innings. 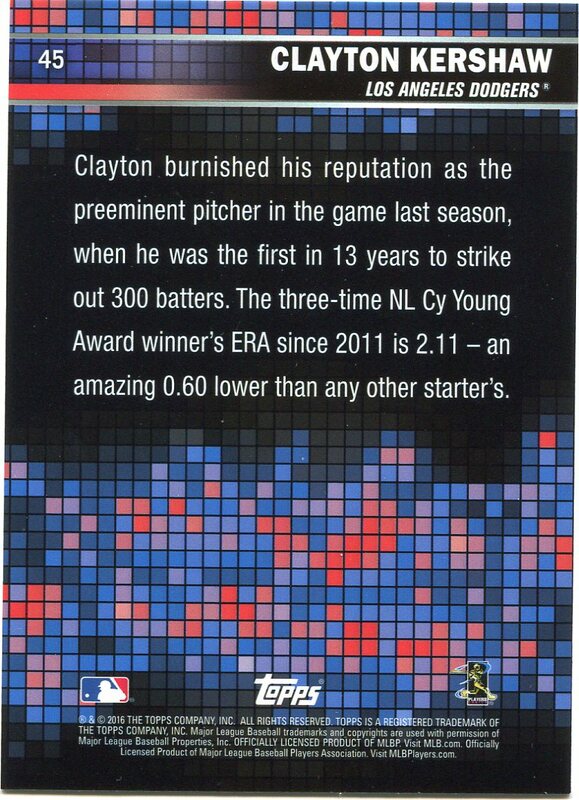 One of 51 pitchers to record an Immaculate Inning (striking out the side on nine pitches). On June 4, 1989, against the Padres, Dibble got Carmelo Martinez swinging, Mark Parent looking and Garry Templeton swinging. 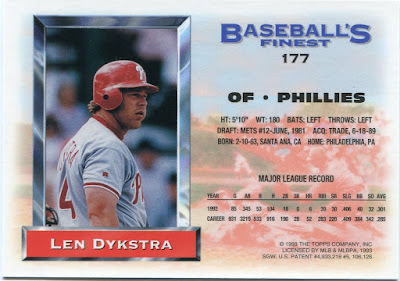 Was co-MVP of the '90 NLCS (along with Myers) after saving a game and striking out 10 in five innings covering four appearances. 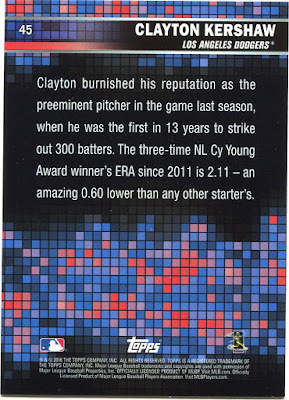 Achieved his 500th strikeout in 368 innings, the fewest in major-league history. Craig Kimbrel (305) and Aroldis Chapman (292) have since surpassed him. 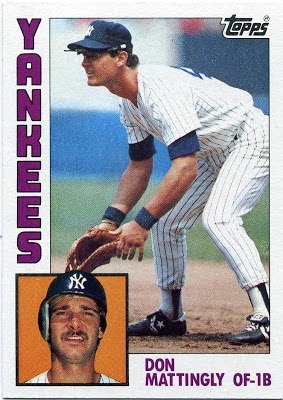 After retiring in '96, Dibble embarked on a broadcasting career and has managed to rub just as many folks the wrong way. COULD HIT THEM A COUNTRY MILE. BUT COULDN'T MAKE CONTACT CONSISTENTLY. Eric Anthony came out of nowhere. 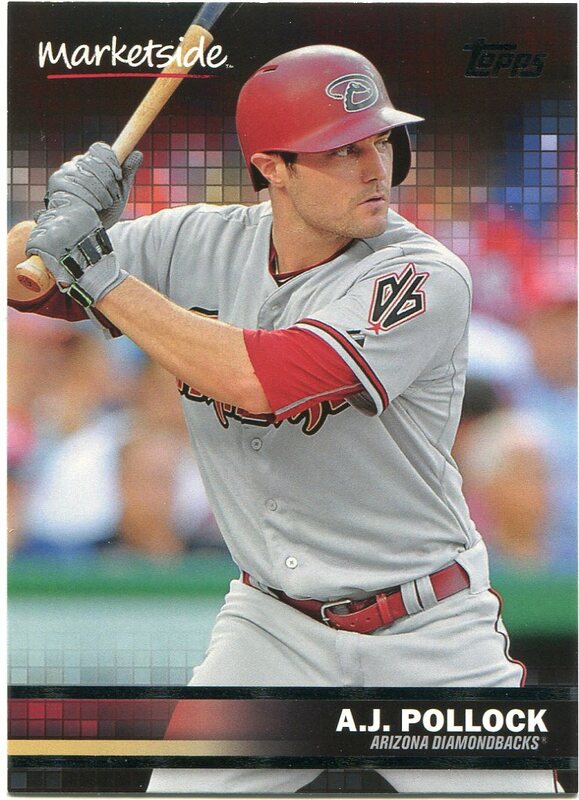 He went from high-school dropout working at a plastics company to major-leaguer. 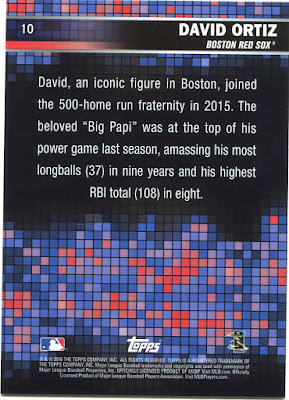 While his nine-year career didn't amount to too much -- .231/.305/.397 with 78 homers and striking out twice as much as he walked -- he left his mark as a prodigious slugger capable of reaching the outer-reaches of any park. It was one of those tape-measure shots at the Astrodome that had everyone talking on May 17, 1990. 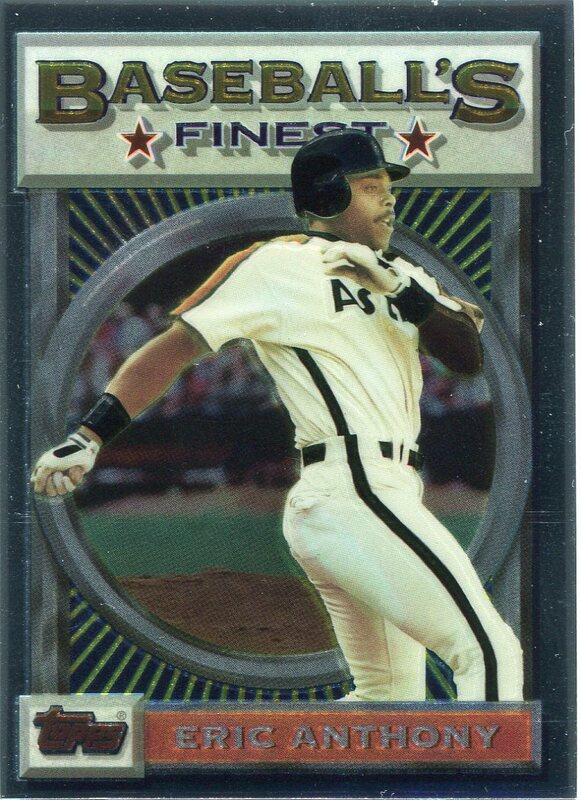 Facing the Cubs' Mike Morgan, Anthony became the first Astro to park one in the right-field upper deck, 440 feet away. 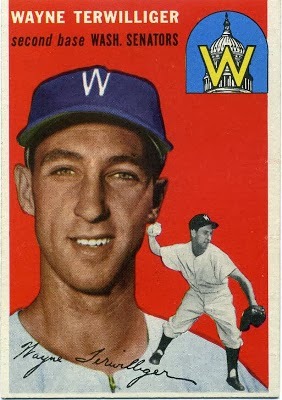 The first was Jim Wynn in '70. 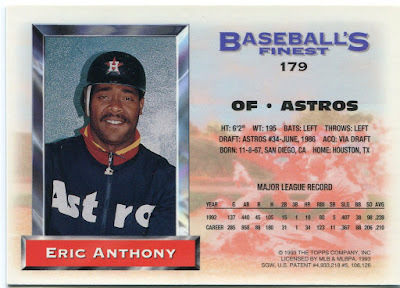 After failing to hit over .200 in parts of his first three seasons, Anthony showed some promise in '92, hitting a career-high 19 homers and driving in 80. He slashed .239/.298/.407. Selected in the 34th round of the '86 draft. 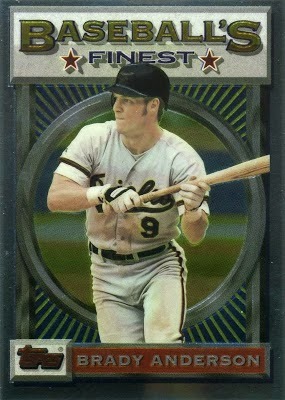 Received a tryout by the Astros that year and got their attention with several long BP homers. In the minors in '88-'89, covering Class A through Triple-A, Anthony bashed 91 homers. He added four more for the Astros in his major-league call-up in '89. 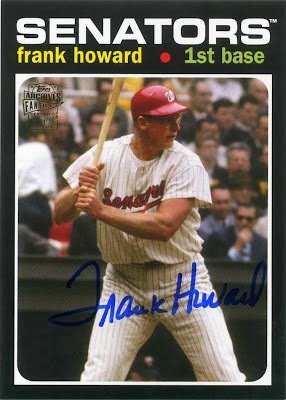 Followed up his '92 season by batting a career-high .249 in '93, adding 15 homers and 66 RBI. 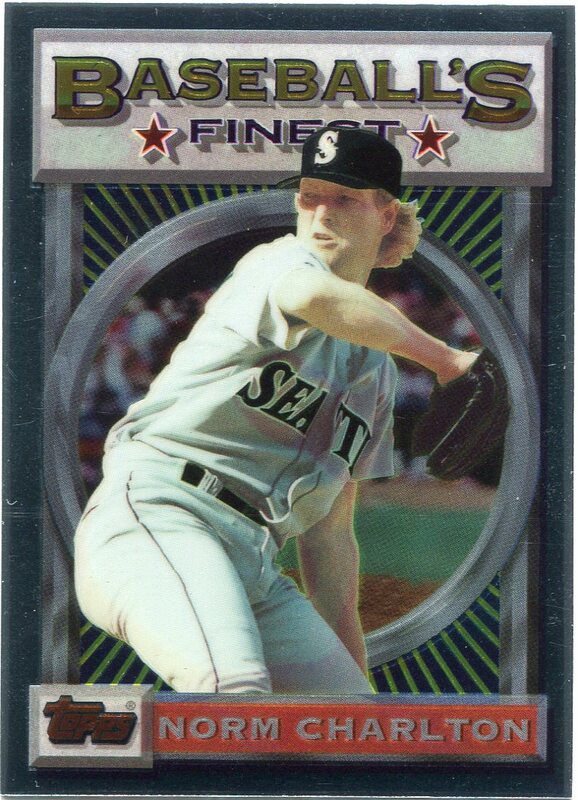 Traded to the Mariners in the '93 off-season for Mike Felder and Mike Hampton, who would win 76 games and sport a 3.59 ERA over seven seasons. WE SEEM TO HAVE A TEAM DISCREPANCY. 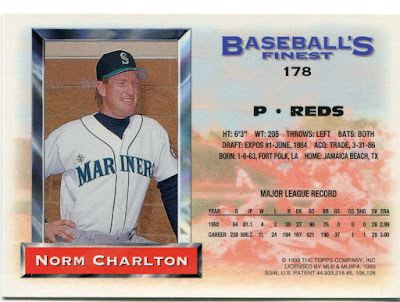 Although the least well-known member of the 1990 Nasty Boy Reds, Norm Charlton might have made the biggest impact. At least in one game. While seventh-inning specialists usually toil in anonymity, Charlton delivered the quintessential image of the Reds rough-and-rowdy bullpen. 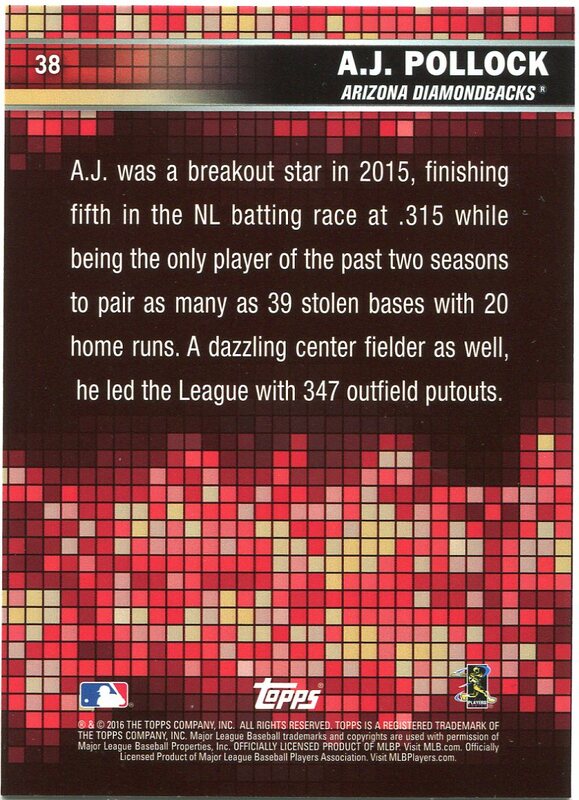 It wasn't a punch-out; it was a knock-out of a catcher in a home-plate collision during that magical season. The lefty did plenty of damage on the mound, too, during a 13-year career for five teams. He saved 97 games, won 51 and had a 3.71 ERA. 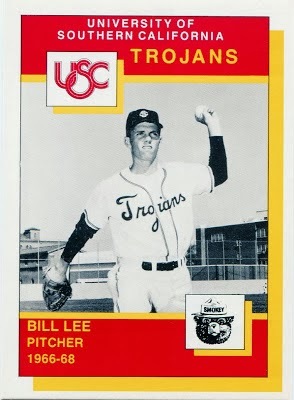 On June 24, 1990, against the Dodgers in a Sunday Night Baseball telecast, Charlton, who relieved Rick Mahler in the seventh, was on first base with two out when Joe Oliver doubled down the left-field line in the bottom of the inning. 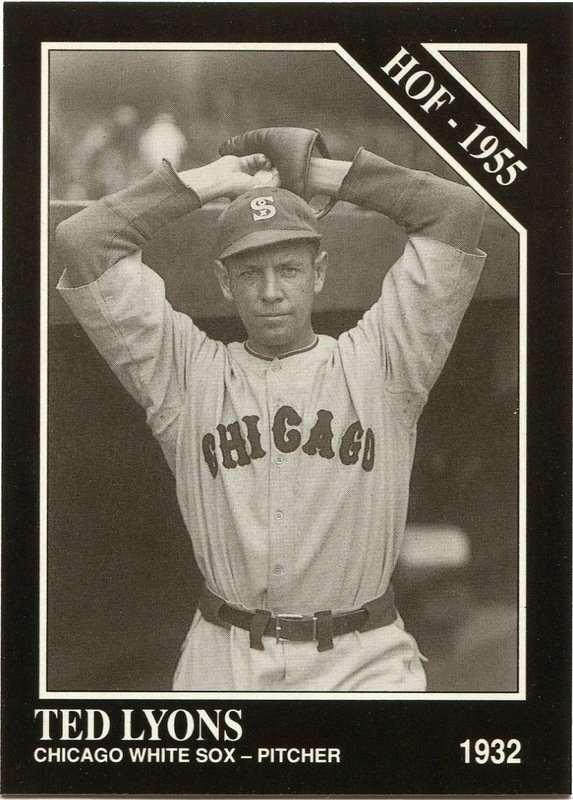 Todd Benzinger scored from second and Charlton ran through third-base coach Sam Perlozzo's stop sign and rumbled toward Mike Scioscia. What ensued was the year's best home-plate collision. 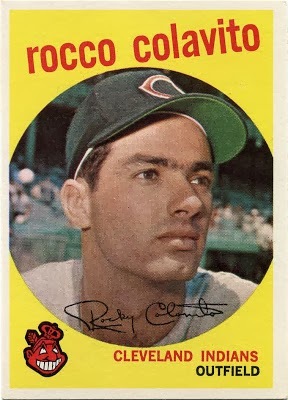 Charlton scored -- and also notched the save -- and the Reds went on to win 10-6. Charlton enjoyed his only All-Star season in '92, teaming up with #180 Rob Dibble as closer. 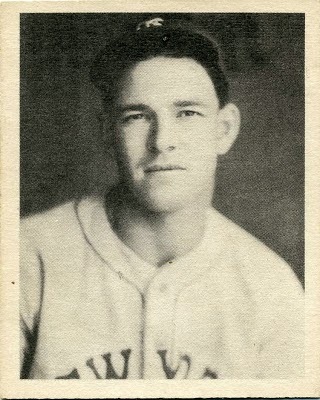 Charlton saved a team-leading 26 games, won four and had a 2.99 ERA. Selected 28th in the first round of the '84 draft by the Expos. 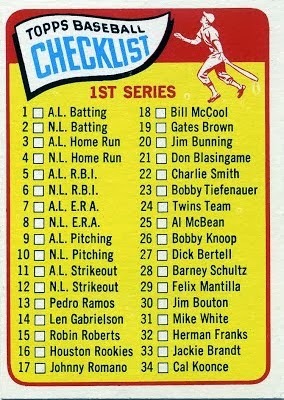 Traded to the Reds in '86 essentially for Wayne Krenchicki. Teamed with Dibble (eighth inning) and #182 Randy Myers (ninth) to form the Nasty Boys, who took baseball by storm, as the Reds went wire-to-wire to win the World Series. 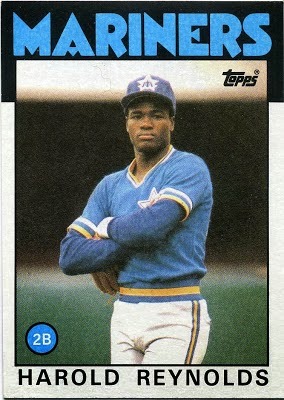 In November '92, Charlton was dealt to the Mariners for #136 Kevin Mitchell. 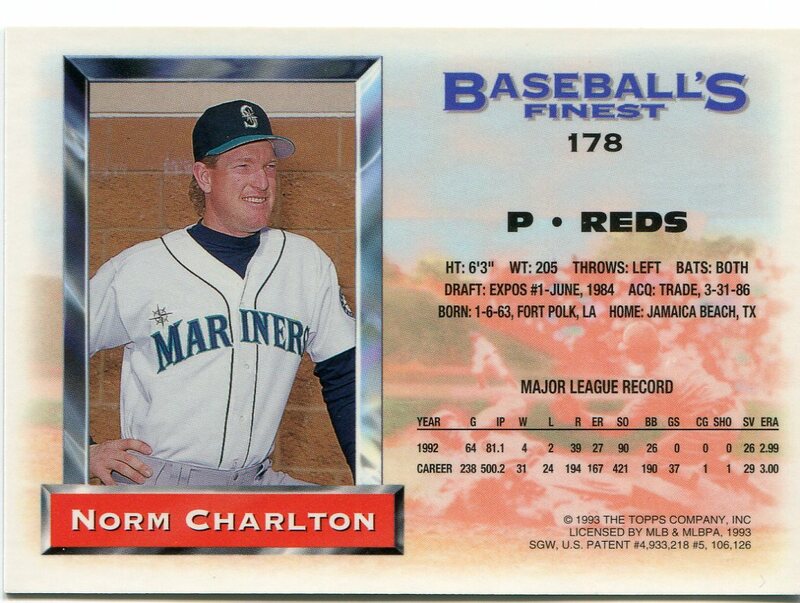 After one season in Seattle, a lost '94 to injury and being signed by the Phillies, Charlton was reacquired by the Mariners during the '95 midseason. 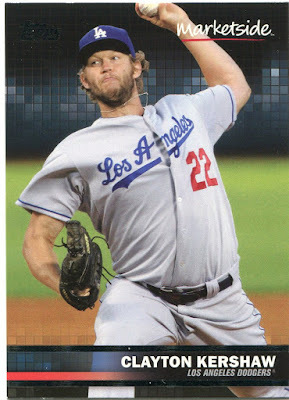 He was their closer down the stretch as they made their first playoff appearance.